Shipment packing paper is widely used in daily life. With the increasing need of shipment packing paper, paper-making mill urge to upgrade the old production line. 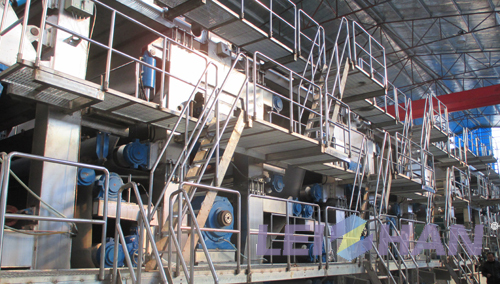 Leizhan provides new pulping equipment for one Yunnan paper mill to rise the pulping output and the pulping quality. Shipment packing paper in one of corrugated paper, which is easily cutting, suitable hardness and stable. Leizhan has positive experience in providing corrugated paper making equipment, it supplies high speed QCS automatic control system for paper plant to produce high quality corrugated medium paper.